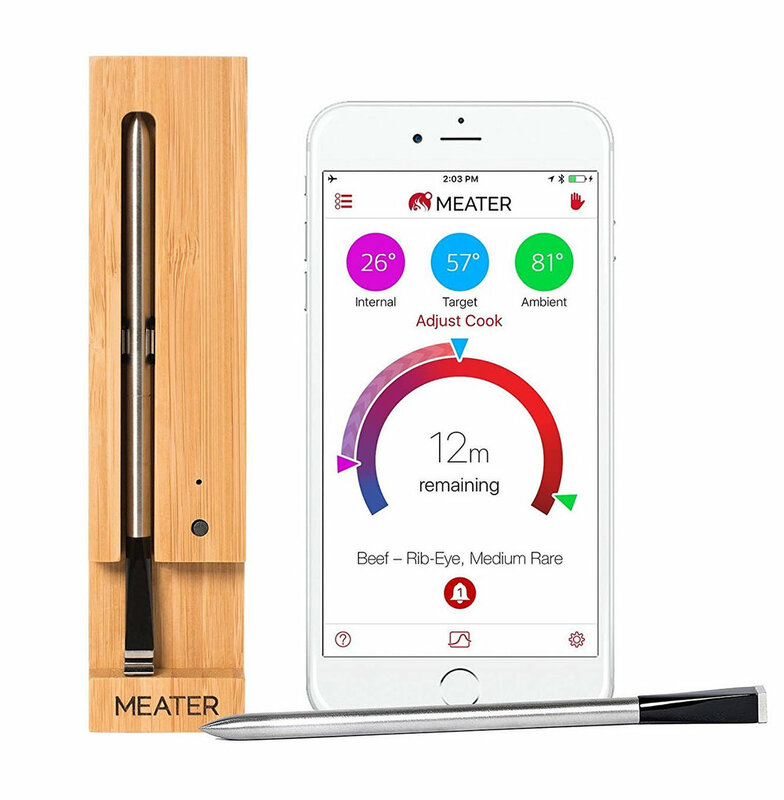 Justin was recently given a 'Meater', a wireless meat thermometer that helps cook meat to perfection every time. Everyone knows the somewhat sagging feeling of disappointment when you cut into your steak to find it too well done, or too rare. I grant you that this is a first world problem, but if you're hunting for a Father’s Day gift, a gadget that solves this problem could be an excellent choice (providing you're shopping for a carnivore)! You connect the device to your phone via Bluetooth, and then poke it into the meat you’re cooking. You then tell the device precisely how you want your meat cooked, and it will give you step by step cooking instructions. The app tells you what temperature to cook at, and monitors everything in case you need to make any adjustments along the way. 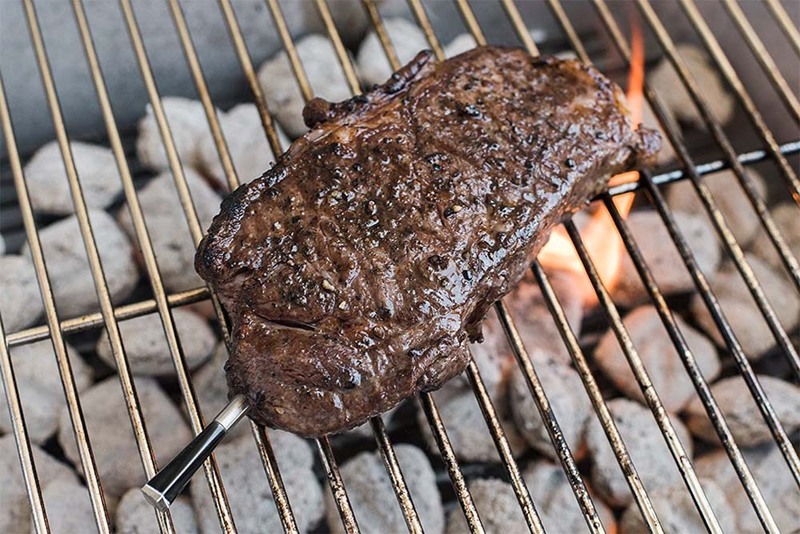 It tells you when to remove the meat from the heat, how long to let it rest, and exactly when it's ready to eat. Justin has now tested his Meater on beef, chicken, partridge, lamb, and pork (it works on all types of meat) and it has delivered on its promise every time. It really is an impressive little device! The Meater has also given Justin extra confidence in the kitchen, which in turn has got him cooking more - a definite bonus for me, and another reason this might make a good gift for any hesitant chefs out there. 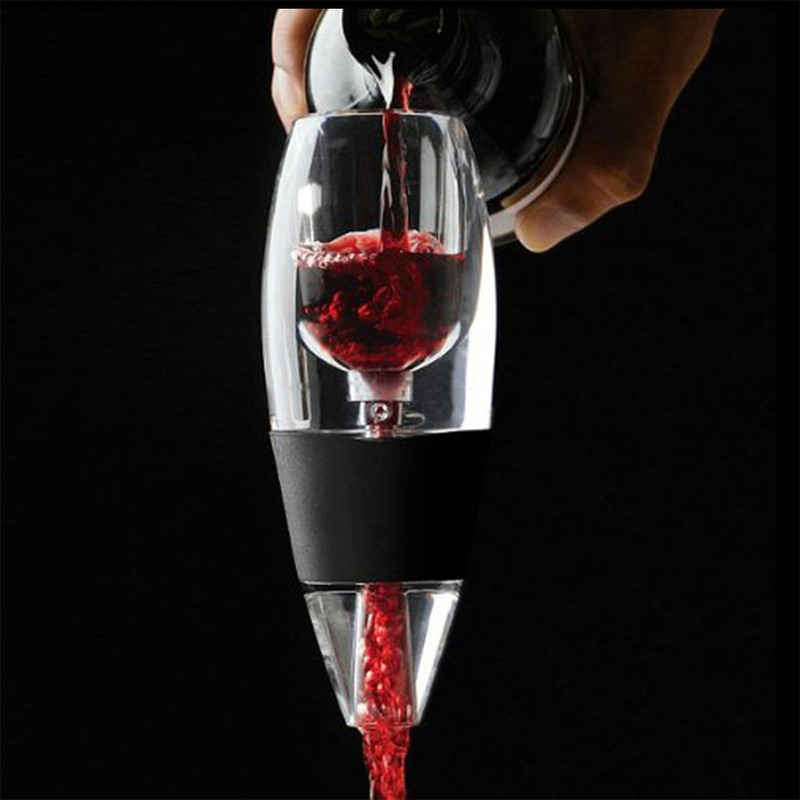 We use our one of these with every quality bottle of red wine we drink, and it really does improve the taste of the wine. It can be fun to test it out by pouring two glasses of the same wine, with only one having been decanted through the aerator. The difference is so noticeable! To Be a Machine: Adventures Among Cyborgs, Utopians, Hackers, and the Futurists Solving the Modest Problem of Death, $11.56. An exciting book is hard to beat, and this one sounds like a winner for a lot of guys I know! “This gonzo-journalistic exploration of the Silicon Valley techno-utopians’ pursuit of escaping mortality is a breezy romp full of colorful characters.” —New York Times Book Review (editor's choice). Exotic bitters, set of four, $18.95. The flavors in this set of bitters (lavender, chocolate, cardamom, and grapefruit) are really exciting for anyone interested in mixing their own craft cocktails, and make a great addition to any bar cart. Crystal whiskey tumblers, set of four, $39.95 (reduced from $100). These are a bargain, especially for Waterford traditionally cut crystal. Plus the design is stylish and timeless, and would elevate any late night nip of whiskey.